I picked up three things I wanted to show you, a nail polish from Essie, the lip and cheek pot from the new Essence limited edition and one of the lipsticks from Manhattan's recent limited edition. The nail polish from Essie is called 'Luxedo' and although it's not a colour for spring, I really like it! Essie calls it the 'deepest plum' and I have to agree with that. 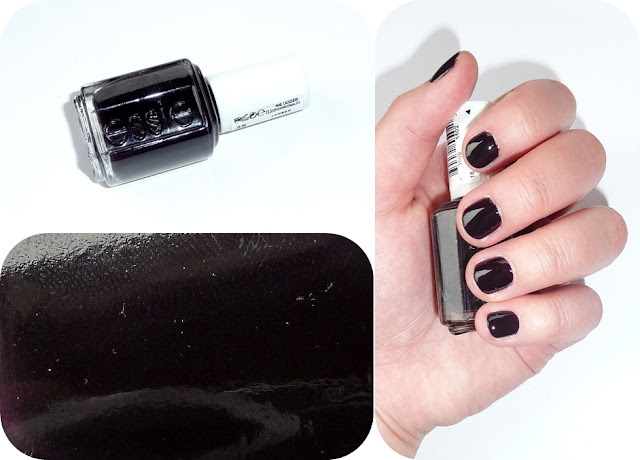 The colour is very dark and in bad lighting you might think it's black on your nails, but other than that I love it. The consistency is good and I'm wearing two coats on the picture. Another thing I bought was the lip and cheek pot from Essence's limited edition Rebels. 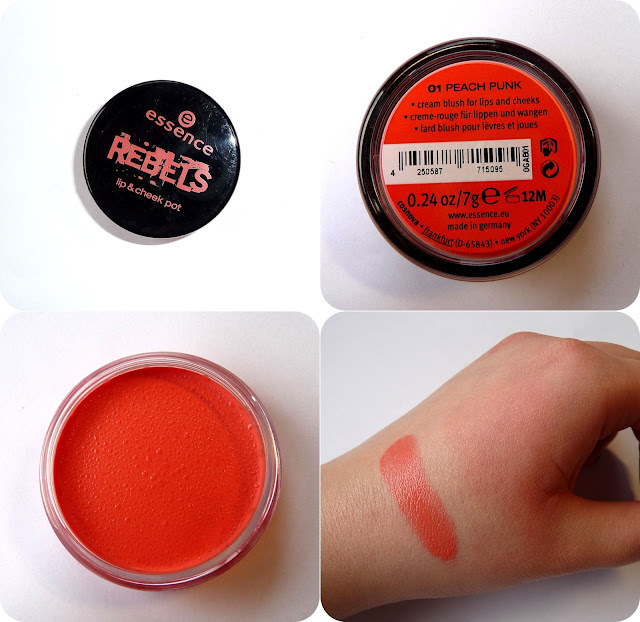 The colour is 01 Peach Punk and it reminds me of Bobbi Brown's famous pot rouge. Unfortunately my pot seems to have perspirated and I think this might have happened because of the consistency. 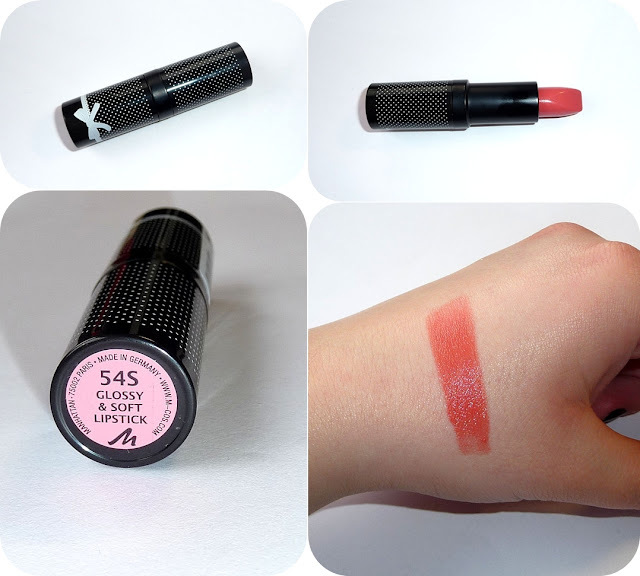 The product is something between a gel and a cream formula, but it is really easy to apply and blend, so don't worry! Here's a picture for you where I'm wearing both lipstick and the blush. ;) I'm sorry for the hair, I'm kinda not feeling all too well today.